CaliBurger is like the Vanilla Ice of the quick-serve burger world, except they don’t even bother pretending they aren’t a total copycat. They first opened up in Shanghai in 2012 before quickly expanding to Kuwait, Malaysia, Qatar, and Bahrain, and in an interview in the same year, a rep explains that since “In-N-Out has said they have no plans to expand to China… we saw an exciting opportunity to introduce the best of California to China.” And the inspiration is beyond obvious, down to the double palm tree logo, paper-wrapped burgers, and even the shape of their fry containers. 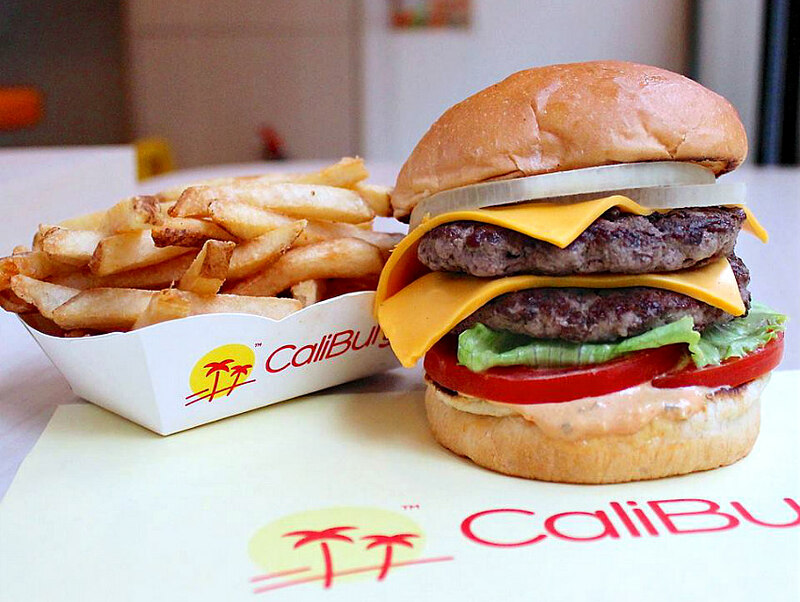 Four years and more than a dozen, mainly international locations later (though the company’s headquarters are based in Santa Monica), CaliBurger is finally bringing the fight to In-N-Out’s doorstep. According to a report from Eater LA, the chain will set up shop in Old Town Pasadena this June, offering their take on the griddle-cooked, iceberg-lettuced cheeseburger. Here’s the most intriguing thing: CaliBurger actually seems to have made some improvements to In-N-Out’s intentionally luddite formula (in theory at least). There’s one more, huge, huge upgrade. Booze! At CaliBurger’s first U.S. location in Seattle, you can add a shot of Evan Williams to your milkshake for an extra two bucks. It really cuts out the uncomfortable middle man of sneaking a flask into In-N-Out just to get sloshed off ice cream, which, as an American, is your birthright. CaliBurger is jumping into one of the most saturated burger markets in the world, but, even if liquored-up desserts and properly made French fries aren’t your thing, the sheer novelty factor that a place like this can exist without getting sued into oblivion should be enough to get you through the door. Previous articleInside Look: Meat Paradise Cannibal Opens in L.A.